The medical marijuana movement started out years ago when a group of courageous California residents realized the medicinal value of marijuana and how much it benefited patients and fought for the right to use the medicine without fear of being arrested. There were various advocates and not-for-profit organizations that helped make medical marijuana legal in California today. However, from the humble beginnings, a new era has emerged. Today, the medical marijuana industry is big business. There are many who constantly try to enter the burgeoning California medical marijuana industry to get their share of the profits. According to a recent news article from Fast Company, one company has recently started selling marijuana-infused coffee. First, it should be noted that, due to FDA regulations and other state and federal laws, this coffee does not actually contain any active TCH compounds, but rather the coffee gives off the odor of very high quality marijuana when brewed. If you are wondering if there is a market for this product, and whether people really want their coffee to smell like marijuana, the answer appears to be yes, as the company CEO reports the coffee beans to be selling faster than they can produce more. 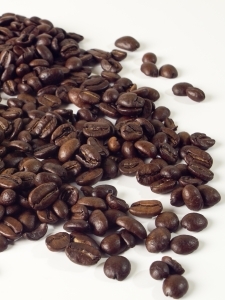 The process of making marijuana-scented coffee involves taking high quality raw green coffee beans and exposing them to marijuana vapor. Essentially, the manufacturer takes high quality marijuana and vaporizes it using a low temperature combustion process, and the vapors from the marijuana flavor the beans. This process is similar to how other flavored coffees are made. It is for this reason that French vanilla or Irish cream coffees do not actually contain any ingredients other than coffee and their smell and flavors after which they are named. As the CEO puts it, he is basically “hot boxing” the roasting room, so, while anyone in the roasting room could get high from the vapors, no active THC is transferred to the beans. Based upon legal advice, he has chosen to call the product “herb conditioned” so as not to run into trouble with any state, local, or federal laws and regulations. As our Los Angeles cannabis business attorneys can explain, it is very helpful to speak with an experienced attorney before spending any significant amount of money on a new business idea to make sure everything is done properly. This will probably save you a significant amount of money in the long run, as it is much more cost effective to hire an attorney to represent you in setting up a new business, than it is to wait until you get in trouble and are facing serious fines and penalties. On the other hand, some licensed medical marijuana dispensaries are selling coffee with active THC, suitable for being used as medical marijuana treatment. These products are for use in single cup home brewing machines. However, due to copyright, trademark, and patent complications, these companies have chosen not to the use term “K Cup,” but rather sell their product as being suitable for single serving cartridge style coffee makers.